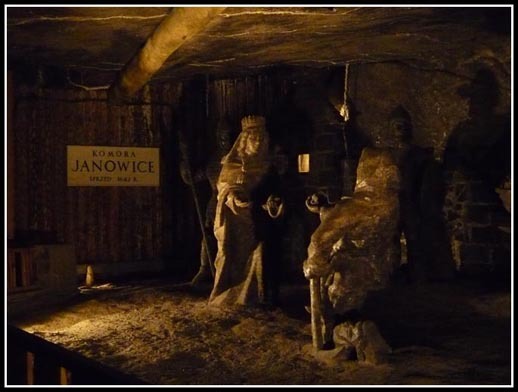 The Wieliczka Salt Mine had been producing table salt since the 13th century. Active mining was discontinued in 1996 due to low salt prices and mine flooding. It reaches a depth of 327 meters and is over 300 km long. 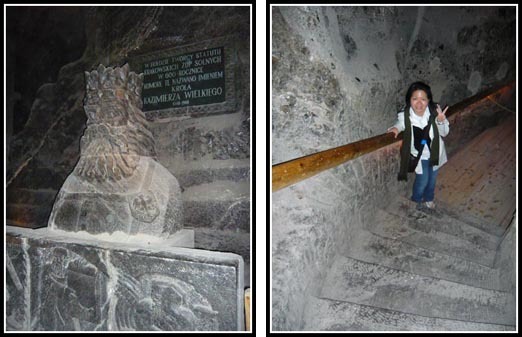 The Wieliczka Salt Mine tour for visitors is about 3.5-km (less than 1% of the length of the mine’s passages). 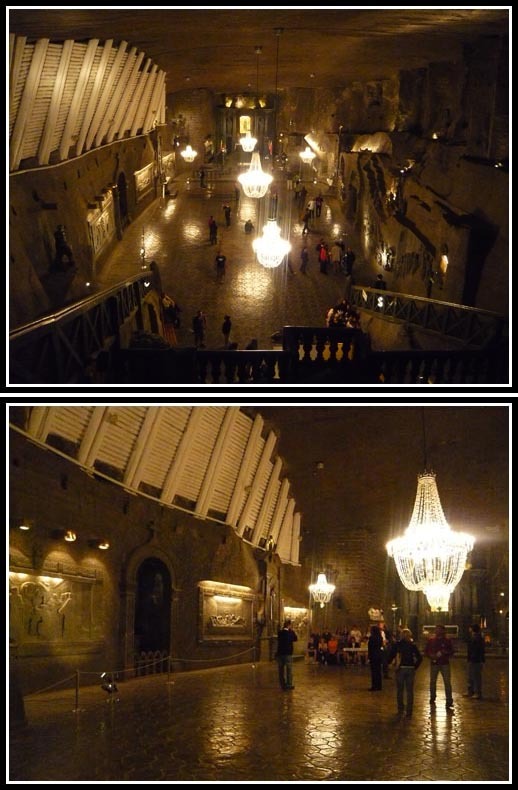 Entrance fees for adults is 40zł and each ticket features a different view of the Wieliczka salt mine. 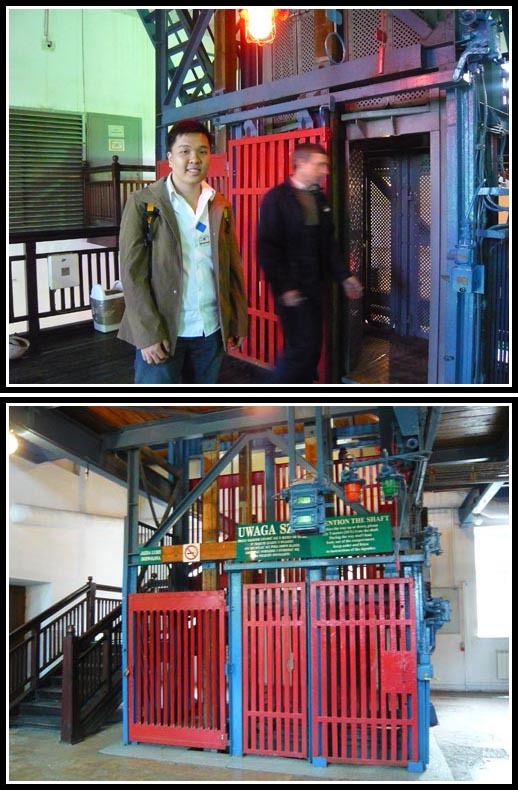 To get down to the 150-meter level of the mine, visitors must descend a wooden stairway of some 400 steps. Note the black spots on the floor – those are chewing gum stains! There were also a lot of vandalism writings on the wall too. After a dizzying walk down the steps, we finally arrived at the Salt Mine – the temperature here stays at 15 degrees throughout the year – do bring a sweater/jacket if you can’t stand the cold. The mine is quite safe with lots of timber structures supporting it. 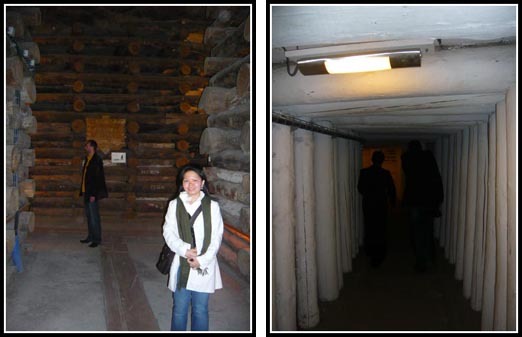 The wooden supports were painted white to help miners identify the route in the dark mines. 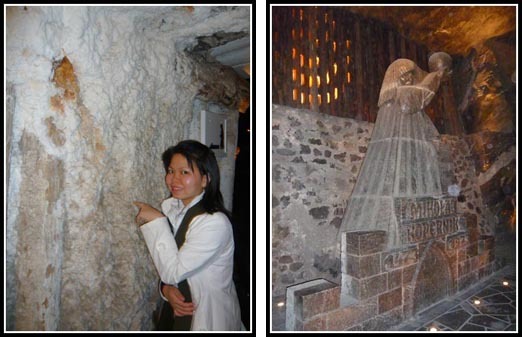 Everything in the mine is made of salt – even this statue of Nicolaus Copernicus. He was a Polish astronomer who formulated the theory that the Sun is the centre of the universe with planets revolving around it. 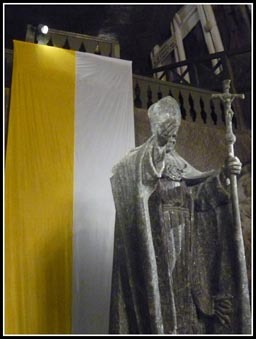 This statue was created to commemorate his visit to the Salt Mine back in the 15th century (yep! there were already tourists to the salt mine back then!). Long time back, salt was a very previous commodity as it could be used to preserve food (back when there was no fridge). Thus, many of the miners were very rich – they just have to dig a few salt rocks and sell them for whatever they need. There is a 700-year-old legend telling about the beginnings of the mine. According to it, it was a Hungarian princess, Kinga, who played a big role in finding the salt nearby Kraków. 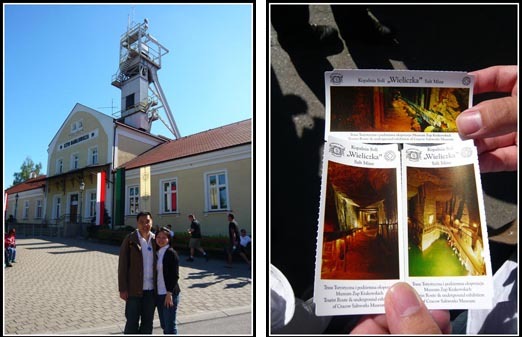 When leaving the city of Marmaros (in Hungary) she threw her ring into the salt mine there. On the way to Cracow, where she was to get married into the Polish Royal Family, she stopped and asked her servants to dig a well in the pointed place. Instead of water, salt was discovered and in the first lump of salt Kinga’s ring was found. 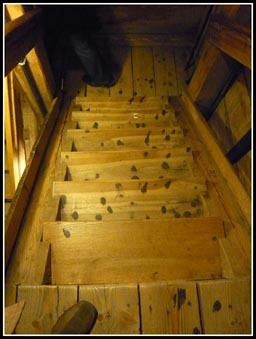 Even the stairs were carved from salt – could get quite slippery so hold on to the railings. More salty stuff. 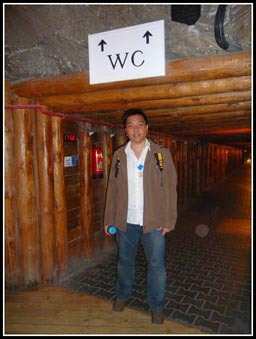 You have to buy a photo/video pass (10zł) to take photos or videos inside the Salt Mine. 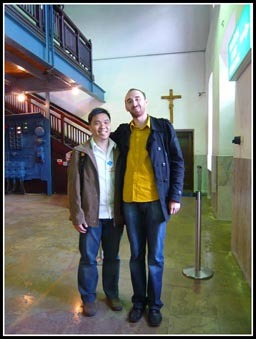 The booth to buy the pass is just beside the biggest attractions of the mine is the Chapel of Saint Kinga. 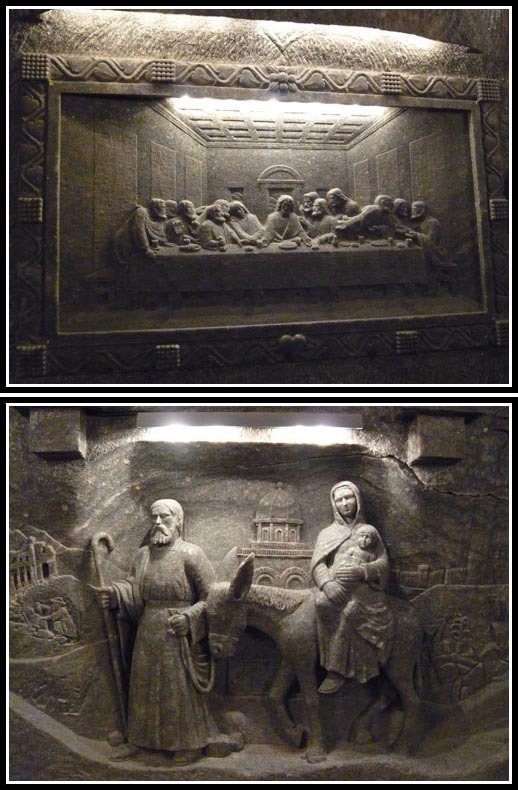 The chapel contains decorative walls, covered with illustrations of the scenes from the Bible (carved in salt by miners-sculptures). Chandeliers made from crystalline salt light the chamber. The dimensions of the chapel are imposing: its height is 10 metres, length 54 and its width 15. Everything is made of salt here – even the flooring. 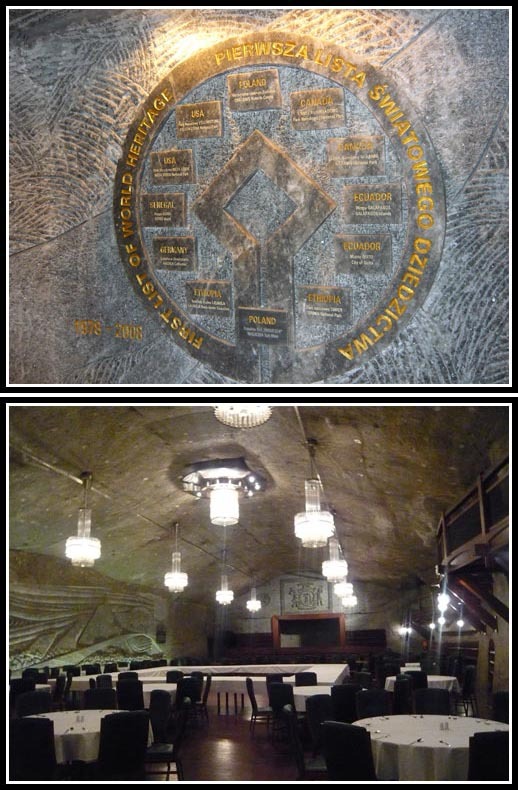 The Wieliczka Salt Mine is one of UNESCO world heritage site. There is even a dining room which caters to events e.g. weddings and meetings. The Krakow Rynek Główny is also in the UNESCO listing. Since we are more than 300 metres below ground, could this be the deepest toilet in the world? After the tour, an elevator which can take 9 persons took us up to the surface in 30 seconds – imagine how fast the elevator would have to go! Our guide – Sebastian. Funny guy – highly recommended. 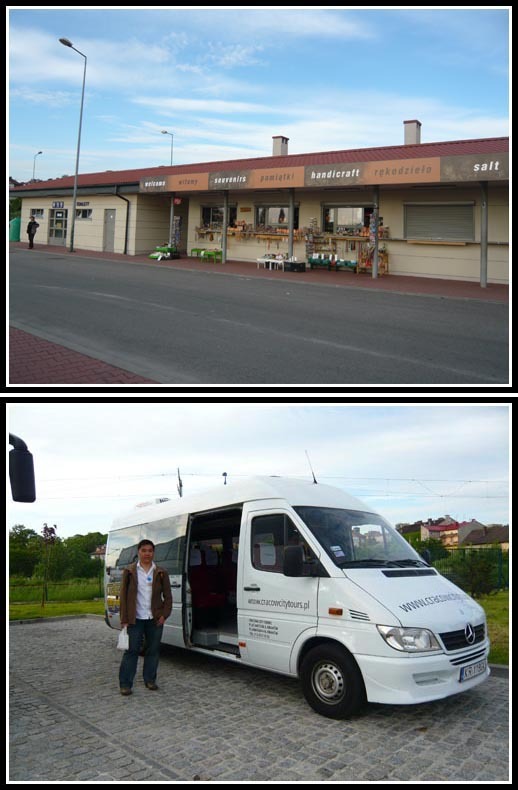 Buy your souvenirs here – carpark where the tour buses and vans are parked. Prices are cheaper by almost 40-50% compared to the shops in the Salt Mine. Great post , thank you. Off to the Salt Mine next week – very excited! 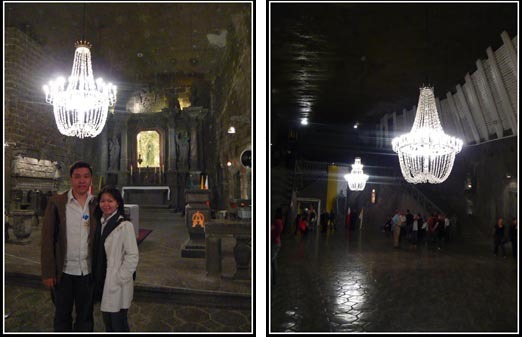 Wieliczka Salt Mine is a stunning and really magical place. I think you’ll also adore some places in Krakow like Zakrzowek, Bulwary Wiślane or (near Krakow) Ojców. I think the prices in saltmine and outside is about the same? (It’s standard price by the saltmine I think) In the saltmine there are more things though…. The facial products were super cheap though, those going may wish to check it out. thanks for sharing. It has been more than 10 years since i went – prices may have changed since then.